Financial spread betting is a huge industry. But who wins and who loses at this game? What do the winners do that differs from the losers? That is what this book is about. Malcolm Pryor uses the model of climbing a mountain to explain a disciplined, winning approach to spread betting. First a base camp must be established. This includes getting set up with the right corporate data, charting and accounts software, deciding what to bet on and what your time frame should be, learning the nuances of operating an account, controlling risk, and learning from other people's mistakes. Many spread bettors don't even get this far. Next, we start climbing the mountain; this means having strategies that are right for us. The whole of this section is devoted to illustrating strategies which can be used for spread betting, for example trend following, counter-trend strategies and delta-neutral strategies such as pairs trading. Finally, we make our assault on the summit of the mountain. This is where the winners set themselves apart from the losers. Issues covered here include trade planning, record keeping, performance reviews, more on risk management, psychology and continual development. 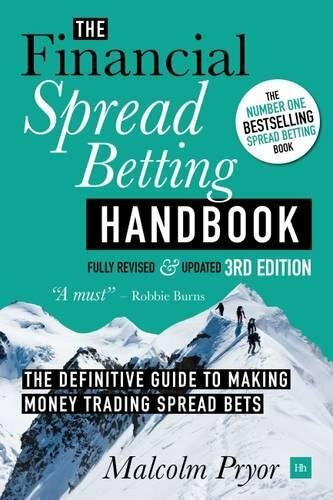 In this enhanced second edition, you also benefit from: - Refreshed and improved trading and risk management techniques, incorporating four additional years of spread betting experience and changes in the markets. - Brand new advice on managing exposure. - Updated analysis of spread betting firms' behaviour, order types and other practical issues. Spread betting is great fun; almost anyone can enjoy the odd bet now and again. But if you want to make money from spread betting then it must be taken seriously and a disciplined, tactical approach is required. This book is the essential guide to get to the top of the mountain.